The Little Blog Dress: Daytona Fundraiser-Dining in the Dark, A Benefit for the Visually Impaired. Daytona Fundraiser-Dining in the Dark, A Benefit for the Visually Impaired. My gorgeous friend Kahlin is a smart cookie and she is putting on a really cool fundraiser that I hope you will come to! 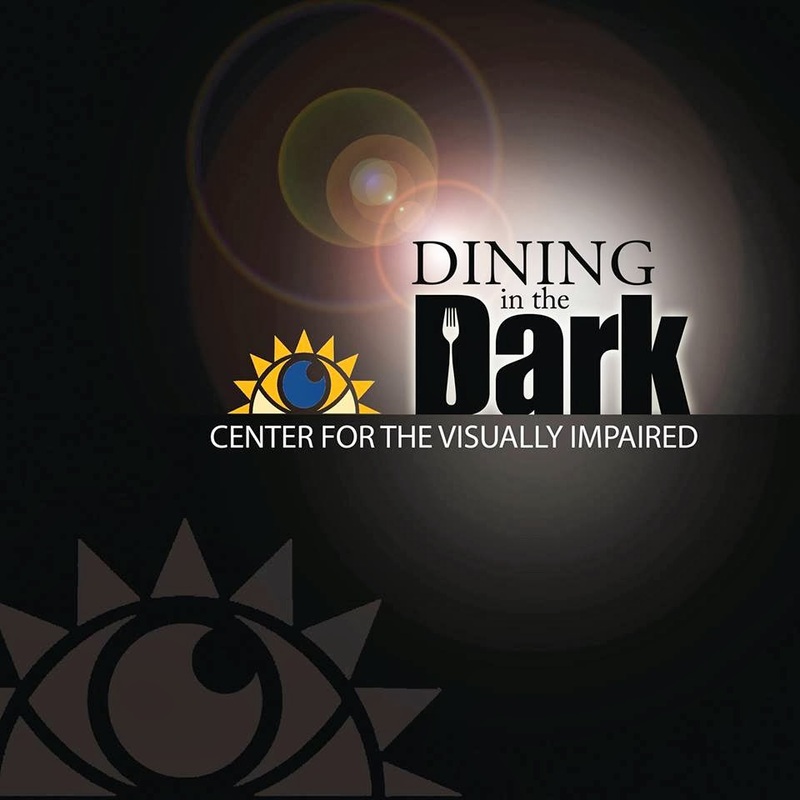 Dining in the Dark is an exciting fundraising dinner to benefit the Center for the Visually Impaired. Join the Center for the Visually Impaired, Sheriff Ben Johnson and his deputies, and radio personality, Leslye Gale for Daytona's most unique dining experience on Wednesday, October 2nd at the Daytona Hilton Oceanfront! 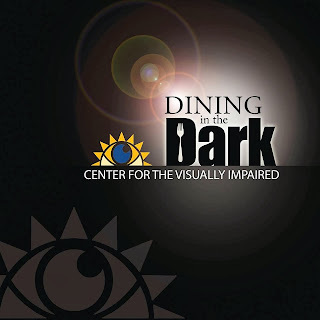 Dining in the Dark is an exciting fundraising dinner to benefit the Center for the Visually Impaired. Guests enjoy a lighted reception and cocktails with silent auction and music by Steel Daddy, followed by the thrill of a four-course gourmet dinner in a pitch-black dining room. This is a one-of-a-kind experience where guests gain an appreciation of the role of all of the senses in the experience of eating. With sight removed, new levels of sensuousness can be achieved. Flavors intensify and food becomes an experience! Additionally, guests will experience the world blind people inhabit every minute, every day. Tickets are $65 per person or $120 for a couple. Guaranteed Tables start at $600 for 8. Still not convinced? Don't be a scaredy cat!! Here is some more information! Q: Is it really a pitch black dining room? A: Yes it is! Most of us aren't used to a completely dark environment. Guests will be asked to put away all potential sources of light like watches, cell phones or cameras. Only those who are completely blind have experienced this level of darkness. Q: How can we eat in complete darkness? Are there many spills? A: Once deprived of the sense of sight, we tend to rely more on our other senses- hearing, touch, smell and taste. Thus, your other senses will help you to eat and reach your table in the dark room, and we recommend "washable" clothing as there may be a few spills. The Sheriff's Officers will have sight via night-vision goggles and will aid guests' welfare. Even though at the beginining it can be daunting, after a few minutes people start to relax and the environment becomes enjoyable. Q: How do we get the attention of one of the Sheriff's Officers? A: Simply raising your hand in the air, while remaining in your seat, will be attention enough to get assistance. Q: Are the bathrooms in the dark? A: No, the restrooms are fully lit.